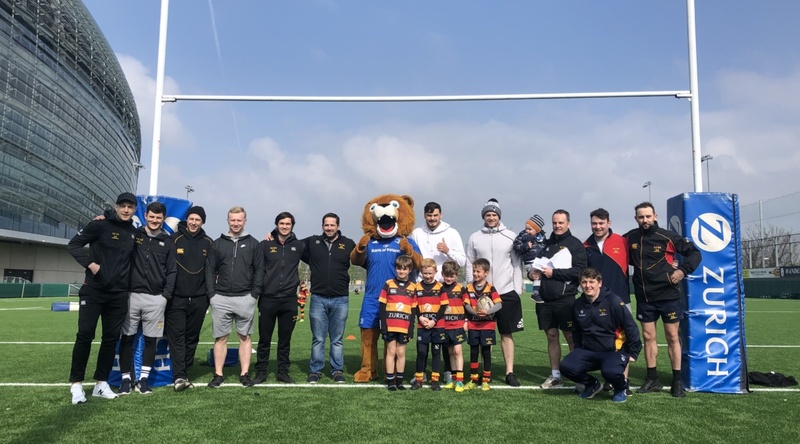 “The inaugural Lansdowne FC end of season kids fun day took place on Sunday April 7th and we, thankfully, had plenty of sun and an army of senior squad volunteers to organise the 160 youths and minis who arrived at HQ. 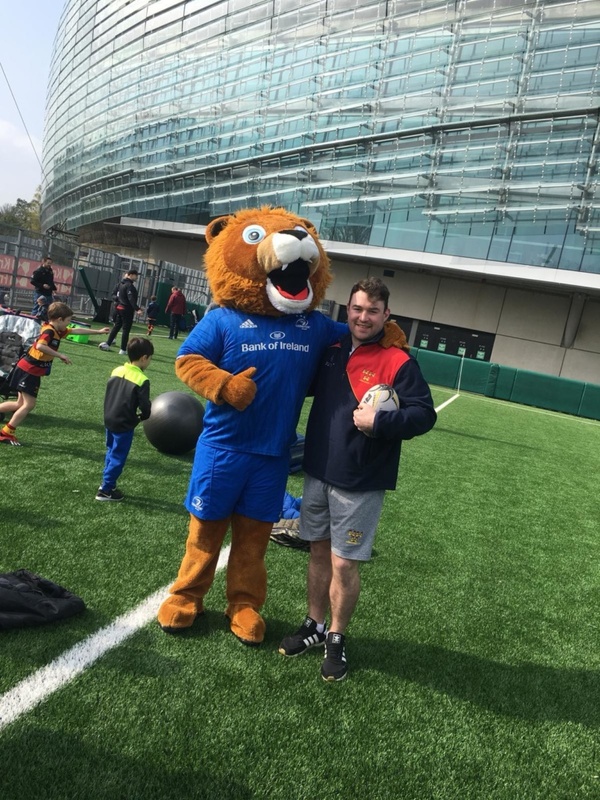 Coach Will Matthews and benevolent Chairman (read…dictator) Brian Moran set out the cones and broke the various age groups into teams before unleashing the army of kids into coordinated games, obstacle courses, relay races and skill zones being manned by the senior players. 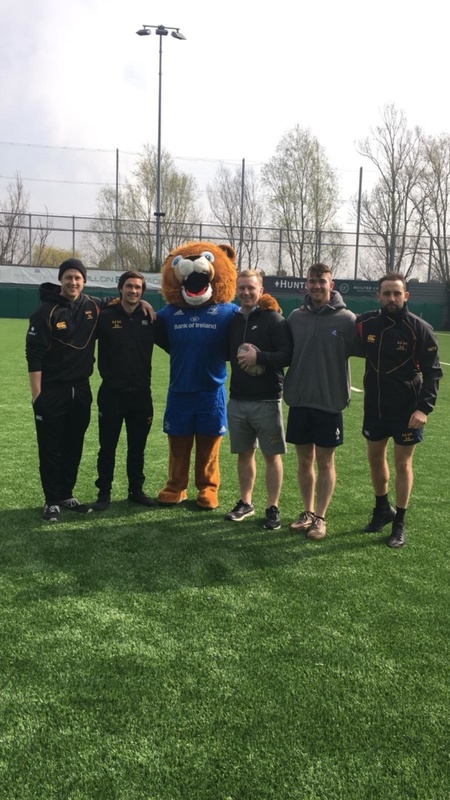 Shouts of joy and laughter filled the air as each of the senior squad players learned how to corral hyper children into completing complex rugby skills before moving onto the next station or drill. 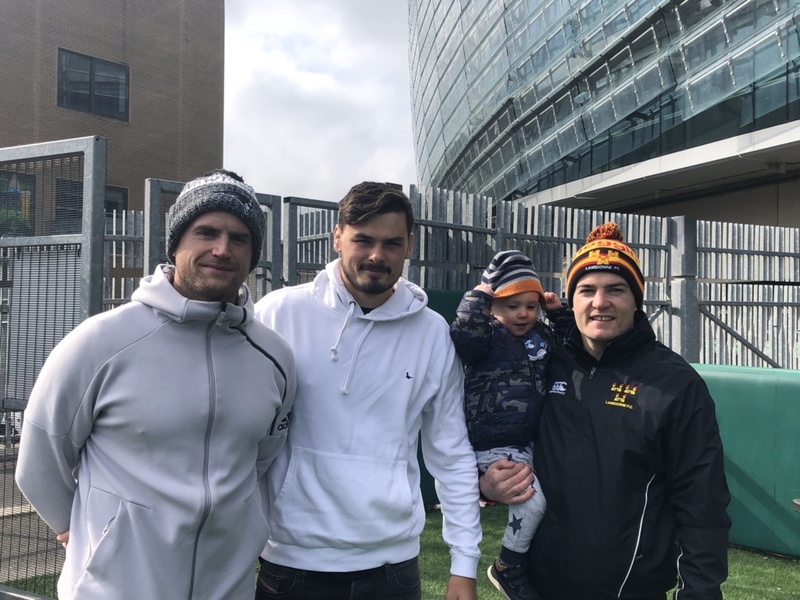 After 90 mins of intense exertion, and as patience was wearing thin, the arrival of rugby superstars Max Deegan, bona fide Lansdowne man, and Jamie Heaslip, honorary Lansdowne man (Don’t tell our friends in Trinity…), buoyed both coaches and parents alike. 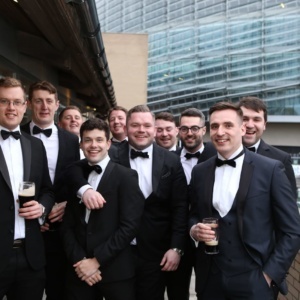 Everyone circled round as Jamie and Max detailed how they were once age grade players and the steps it took to get from Lansdowne to Leinster and beyond. 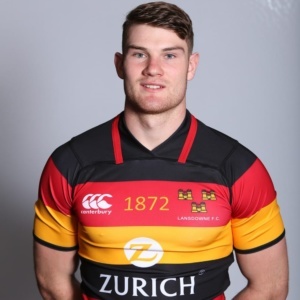 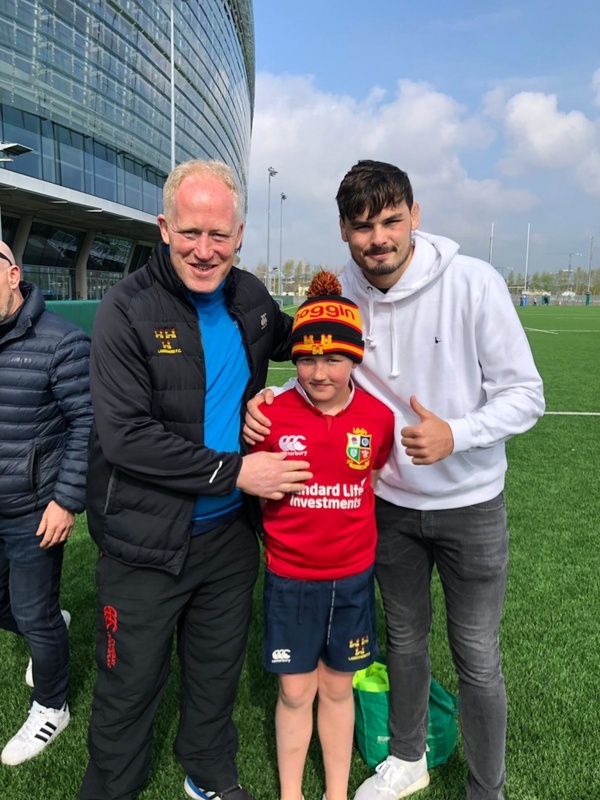 They fielded some interesting questions from the kids….Wondering did they know Johnny Sexton?….. Why they chose to play for Leinster?…..How many times had they played in the Aviva?….and why did Jamie knee Richie McCaw!!! 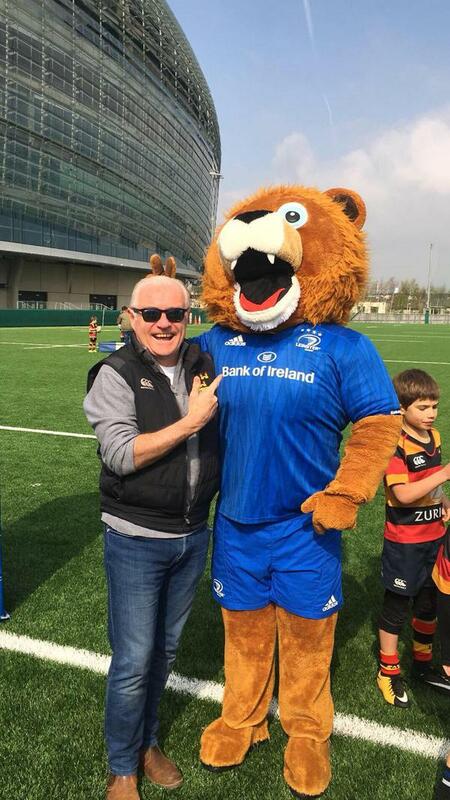 The icing on the cake was the late arrival of Leinster’s “Leo the Lion” who was tackled by a stampede of kids eager for photos and autographs. 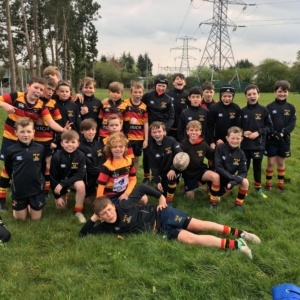 The day was finished out with each player devouring a ‘Pizza Cone’ to replenish their energy after a hard mornings work.